So a book centered around a girl who can actually SEE what would happen when faced having to choose between two paths has me ALL KINDS OF EXCITED! And I loved how Pivot Point explores the dilemma that comes with this ability! Addie was a girl I could easily relate to. She's not easily impressed with people and I loved the friendship bond between her and Laila. These girls are true friends and Laila isn't just a random sidekick added for comic relieve or something. I loved all the different abilities everyone in the Compound has and that they're all mind powers and there's actual training going on to teach them how to use said powers. I also really loved that Addie likes to read. With all the advanced technoly in the Compound, she's one of the only ones still reading books and graphic novels and I like that. I'm also a big fan of her way of making friends, by threathening someone with a zombie attack for insulting Charles Dickens. The chapters switch between the two paths Addie can take: going with her dad or staying with her mom. And about halfway through I was starting to get this ominous feeling that I knew where it was headed and who Addie was going to have to choose between (yeah, I'm sorta cryptic, but it would be a HUGE spoiler). And I was right and it was DEVASTATING! Seriously! I loved seeing Addie go through both storylines and I never once got confused about where we were in the story, so major brownie points to Kasie West for that, cause I don't think anyone could have pulled it off. 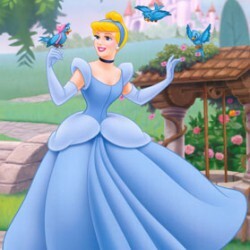 And most of all: I was so IN the story alongside Addie! I fell in love with her, was heartbroken with her, was angry, sad and betrayed and just wanted to give her a hug. I loved how invested in the story I was and how it was such an easy read! I didn't want to stop reading and lost some sleep over it. It was awesome. And I wouldn't be me if I didn't mention the boys: Duke and Trevor. At first I switched alliances with every chapter, cause both guys were swoony, but I settled about halfway through, though I'm not saying which of them has totally stolen my heart which his amazingness, though I am gonna say that as usual I've fallen for the good guy. The ending left me wishing for the sequel because I need to know what happens next! Because it was heartbreaking and I do understand Addie's choice and would have done the same probably, but GAH! It ripped my heart out! 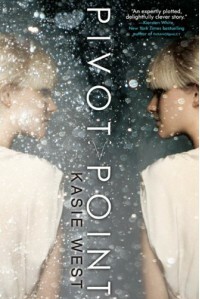 Pivot Point is a strong debut for Kasie West and fans of paranormal romance should definitely pick it up!